Total mesorectal excision (TME) for rectal cancer can be challenging to perform in the presence of difficult pelvic anatomy. In our previous studies based on open and laparoscopic TME, we found that pelvic MRI-based pelvimetry could well reflect anatomical difficulty of the pelvis and operative time increased in direct proportion to the difficulty. We explored different outcomes of robotic surgery for TME based on classifications of difficult pelvic anatomies to determine whether this method can overcome these challenges. We reviewed data from 182 patients who underwent robotic surgery for rectal cancer between January 2008 and August 2010. Patient demographics, pathologic outcomes, pelvimetric results, and operative and postoperative outcomes were assessed. The data were compared between easy, moderate, and difficult groups classified by MRI-based pelvimetry. Comparing the three groups, there was no difference between the groups in terms of operative and pathologic outcomes, including operation time. High BMI, history of preoperative chemoradiotherapy, and lower tumor levels were significantly associated with longer operation time (p < 0.001, p < 0.001, p = 0.009), but the pelvimetric parameter was not. 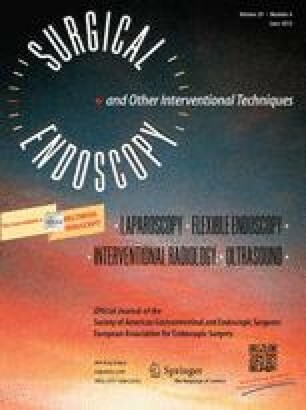 There was no difference between the easy, moderate, and difficult groups in terms of surgical outcomes, such as operation time, for robotic rectal surgery. The robot system can provide more comfort during surgery for the surgeon, and may overcome challenges associated with difficult pelvic anatomy. This study was presented at the 46th Annual Convention of the Korean Society of Coloproctology. April 5–7, 2013, Gyeongju, Korea. Se Jin Baek, Chang Hee Kim, Min Soo Cho, Sung Uk Bae, Hyuk Hur, Byung Soh Min, Seung Hyuk Baik, Kang Young Lee, Nam Kyu Kim have no actual or potential personal, political, or financial conflicts of interest with regards to this study.